When visiting Hilltop House B&B, the area abounds with some terrific places to hike! 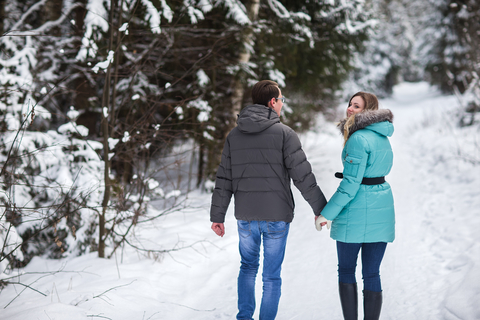 But hiking in the winter months adds an extra level of caution to both planning and going on your hike. Prepare for the unexpected! Never hike alone, use the buddy system. Make sure someone knows where you are going and when your estimated return time is. 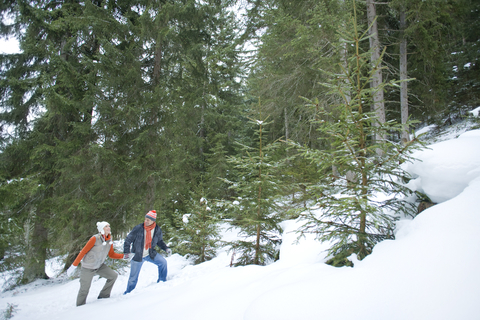 Day hikers should be prepared to spend the night in the woods if necessary, a hiker may get injured sliding on ice, or an unexpected snow storm may come up. Be sure to tell the B&B where you are heading if going out for a winter’s hike and an estimated time when you will be back. • Waterproof boots, plastic is recommended as Leather freezes in cold weather. • Bring backup chargers for your cellphone (but be cognizant of the fact you may not have cell service) most smart phone have flashlights and there are some terrific outdoor apps that can be downloaded for use such as digital compasses and colored light flashing apps that may help a rescuer find you in the snow. Carry your canteen upside down, Water freezes from the top down, if you carry the canteen upside down, it is actually the bottom where the water will freeze, not the mouth of the canteen. White birch bark will burn even when wet and makes some of the best emergency tinder. A small container of Vaseline with several cotton balls serves double duty, cotton balls covered with the oil make excellent fire starters and the Vaseline is also very useful for protecting against windburn and skin chapping. • Build a fire for heat and to attract attention. • If you need to rest, try to gather tree branches and boughs to sit or lie on, so your body doesn’t make direct contact with the snow. • Place rocks around the fire to absorb and reflect heat. 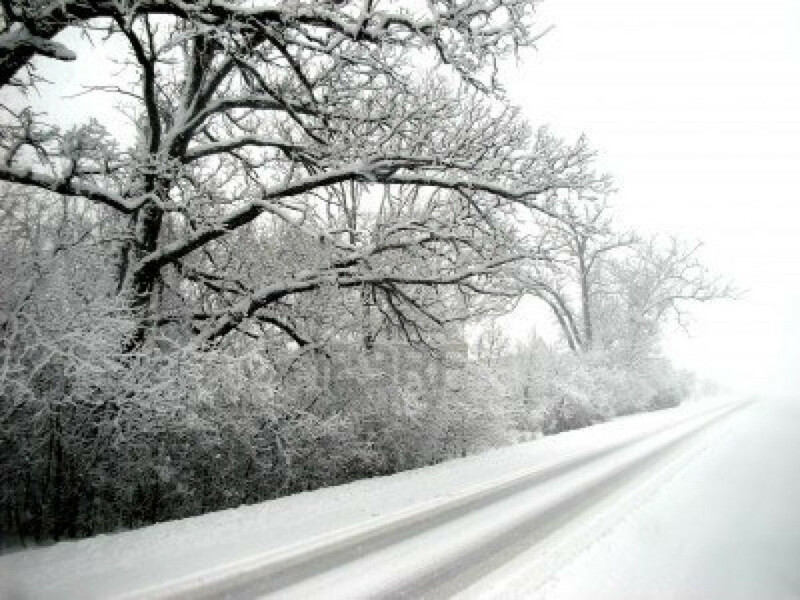 • Prepare a lean-to, wind-break, igloo or snow cave for protection from the cold. • If you don’t have time to prepare anything elaborate, try at least to make a shield from the wind. • Do not eat snow. It will lower your body temperature. Melt it first when possible. • Make yourself visible to rescuers. • Exercise from time to time by vigorously moving arms, legs, fingers and toes to keep the blood circulating and to keep warm. http://www.wilderness-survival.net/chp5.php Many of these can be made using space blankets, ponchos and tarps. Coming up again, on Valentine’s Day Sunday this year, following a Friday 2/12 and Saturday 2/13, packed with adventurous events like dog sledding, invitational ski-jumping and a Snow Ball Dance, is the 2016 Jumpfest. Held in Salisbury, CT, just a snow ball’s throw over the Connecticut Border and north a short drive; the jump celebrates its 90th Anniversary this year! To get in on the excitement, we’re firming up the details of our Hilltop House Valentine’s Day Promotion, a few enticements to help you brave the elements. (Think cozy, fireplace, snuggle up to…) So keep checking in and make plans to join us for a soothing, romantic Bed ‘n Breakfast weekend away. Visit jumpfest.org for more information. The site is well designed, and has all the rest of their information for you. Enjoy! Hope to see you here at cozy Hilltop House for this great Valentine’s Day Getaway! Visit your kid at boarding school and catch a mini ski vacation? Think about it. Those mid-week hardly-peopled slopes? Sure you’re busy, but you need some time for yourself; we found the way. Many of our guests visit Hilltop House to see children in boarding schools (Kildonan and Maplebrook here in Amenia) many others are a short haul away see our map. There are ski resorts nearby that are both affordable and fun. Forget overcrowded Hunter Mountain with its new 6-person chairlift!! (Right–get more people on the mountain!) 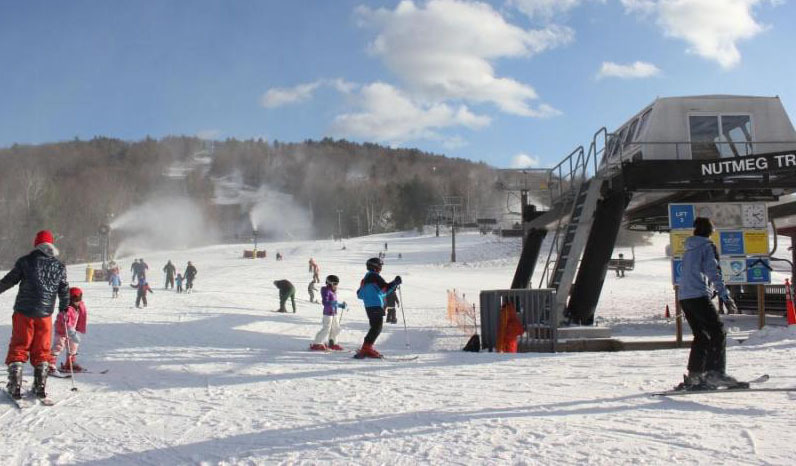 Let us introduce you to Mohawk Mountain, Catamount Ski, and Butternut, chosen because we’ve skied all three and in the spirit of tri-state equality we present Connecticut, New York and Massachusetts accordingly. 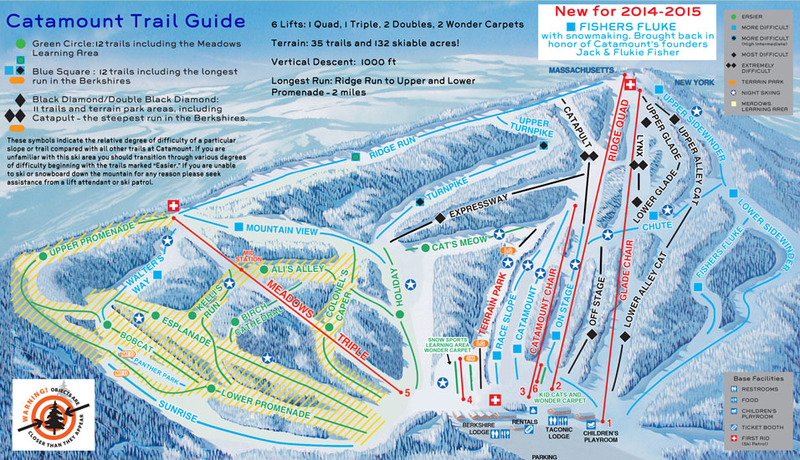 And for extra measure, check out our ski package with Thunder Ridge in Patterson on our home page. Mohawk, as we posted earlier, invented snowmaking, something we don’t need right now. They have a great mid-week (non holiday obviously) $30.00 lift-ticket from open–9:30AM to close 10 PM. So you can spend your day well. Drive up to HTH the night before, make your meeting, and head out to CT over beautiful roads that the Appalachian Trail crosses by. Mohawk also offers what the others don’t a 4-hour pass, or an after 4 pass for those holiday weeks or weekends. Not highly challenging, but fine for fitting into a busy schedule. Catamount offers a non-holiday Monday and Thursday on-line only lift ticket for $20. How’s that for economy! For their night skiing they have 11 Easiest and More Difficult slopes open–quite a bit. Their moguls on the other had are formidable on the Expert slopes, so make your appointment in the morning, and you’ll catch those mogul shadows far better. The slope is on the East side, so you lose the sun earlier than sundown at Catamount. They will discount tickets if you’re staying 2 or more weekend days. Rest of info is on their site. Not a lot around if only one of you skis, but you can travel over to Massachusetts–but wait for this one. Butternut is open 9-4 M-F; an adult ticket is $25, junior $20, and child $15 those days, so you don’t need any special rate. It has some challenging runs too. So whether you’re coming up to check out a school, visit the dean, see the Hudson Valley wineries, or just hoping for a peaceful, stress-less time away. We can assure you your stay at Hilltop House B+B will be more than worth the trip! After all this snow–It’s all about that BASE! And we got a lot of it. Enter winter motorcross: We love Lime Rock Park for its motorsports, just up the road in Connecticut. 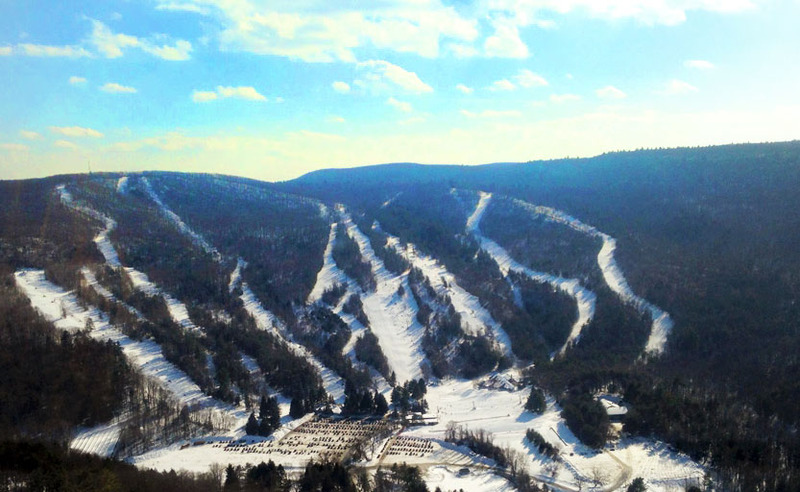 We also love Mohawk Ski Resort in Cornwall due east. Mohawk, the home of snowmaking, invented in 1949 and first utilized back in 1950 on a snowless winter day gets mashed up with Lime Rock, where auto racing normally hits a seasonal hiatus. It seems to have re-invented snowmaking as a means to extend their season into a first-ever in the northeast–Winter Autocross!!!! Starting this month (last weekend in fact) Lime Rock will offer Winter Autocross Days, Fridays and Saturdays open to any licensed driver. Think of all those southerners flocking up to the safety and instruction of Lime Rock, never having swerved on snow before! “First and foremost, driving hard and getting ‘slideways’ in the snow is simply a whole bunch of fun,” said Lime Rock lead winter driving coach Stephan Bastrzycki. “You don’t have to have any previous experience…you cannot believe what you learn of ‘car control skills,’” Bastrzycki continued. In the end you come out a smarter, safer driver. All the better for driving on the Pennsylvania Turnpike! 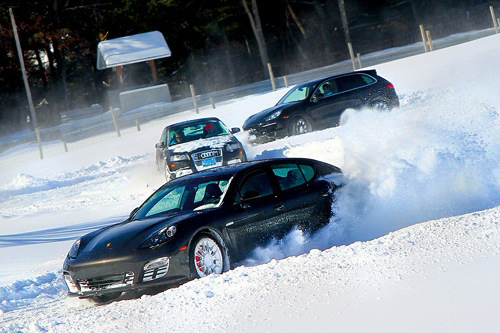 The Winter Driving events –tagged “snowcross” or “WAX” (winter autocross) – are held in the upper infield area. Bonfire, hot chocolate provided. Three or four cars are sent out at a time, with appropriate spacing; there is no racing involved. Now anyone can autocross all winter long on the following schedule. Come home to our warm fire at Hilltop House, and a cozy bed. If you haven’t been out in the dead of winter before, you’ll never sleep so well. Even if you have, come on up! !